Romeo BLE mini is an affordable and versatile Arduino robot control board. 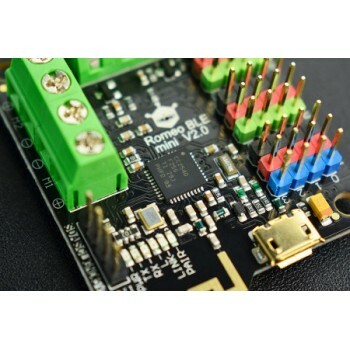 With 8 Digital pins, 4 analog pins, two 1.2A (continuous) H-bridge Motor Drivers and integrated Bluetooth 4.0 it can be used for a variety of mechatronic/robotic applications. With the 2 H-bridge DC motor drivers, there's no requirement for a motor driver shield. 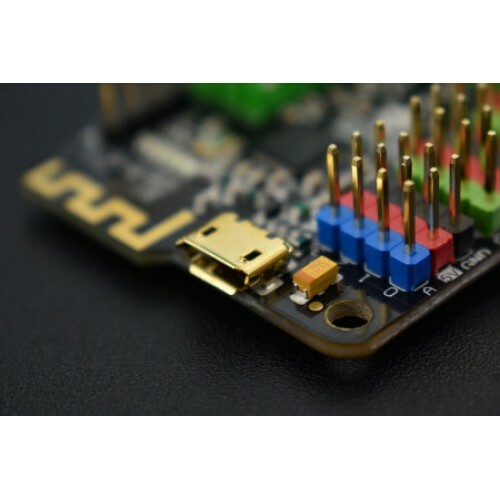 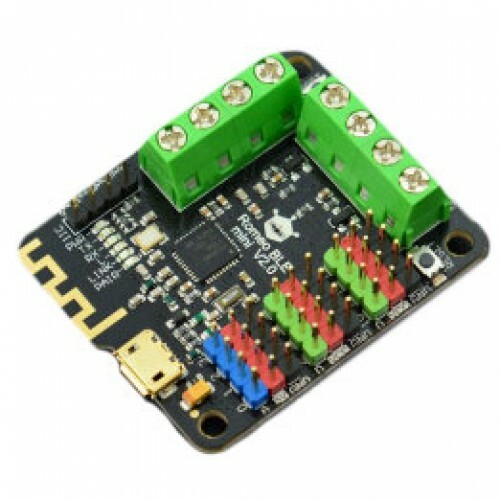 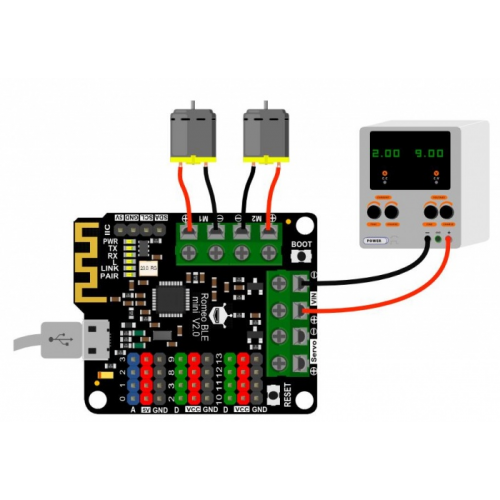 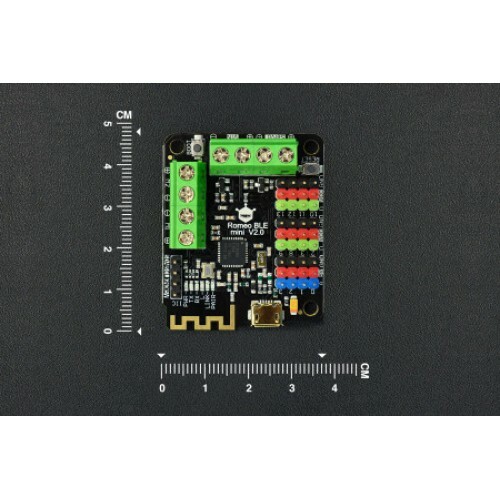 Just connect to the arduino development environment and with the help of the large quantity of open source libraries and code you will quickly get your project moving.Please note this board needs an external power input of 6.5V~10V.